Stella Haskil's life was, like that of Marika Ninou, tragically short. Born in Thessaloniki in 1918, Stella's voice was heard on a series of classic post-war recordings she made with veterans such as Markos Vamvakaris, Apostolos Hatzichristos, and Stellakis Perpiniadis. However, she is best know for her work with younger composers like Vasilis Tsitsanis and Apostolos Kaldaras. Perhaps her most enduring song is the 1947 recording of Kaldaras' Nichtose horis fengari (Night fell, moonless). Written during the bitter Civil War that tore Greece apart until the end of the decade, the original title of this song was 'Nichtose sto Gendi' ('Night fell in Gendi' - the prison in Thessaloniki in which political prisoners were held). Although certain verses were changed to suit the demands of the censors, always on the lookout for any suspect political references, the song was such a success that, after a few days, it was withdrawn from circulation and it's performance was banned. 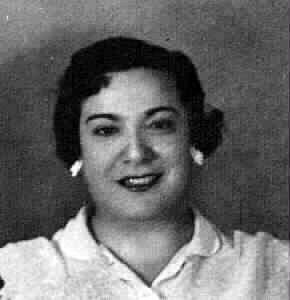 Stella Haskil died on 27 February, 1954, in Athens.